If you’ve been working your way through the Chinese lessons on this site you may be wondering when it gets easier. There really is no quick and easy way to learn a language. You’ll have to put in the hard work and not get frustrated when the process seems too slow. There’s a Chinese proverb that teaches “one step at a time is good walking.” Develop good study habits and you’ll slowly but surely reach your destination. I want to help you on your quest to learn Chinese. Starting today I’m going share my best tips for learning Chinese. Some of this advice might even work for other languages as well, but I came up with them while thinking about Chinese. This first tip will help you learn to read Chinese characters more quickly. When you are out and about, pay attention to the characters you see. If you live in China this is a piece of cake. Most street signs, not to mention subway stops and bus stations, have the name in Chinese characters with the pinyin or English equivalents. These signs are everywhere. You may not recognize all the characters, but you’ll understand the meaning from the English context. 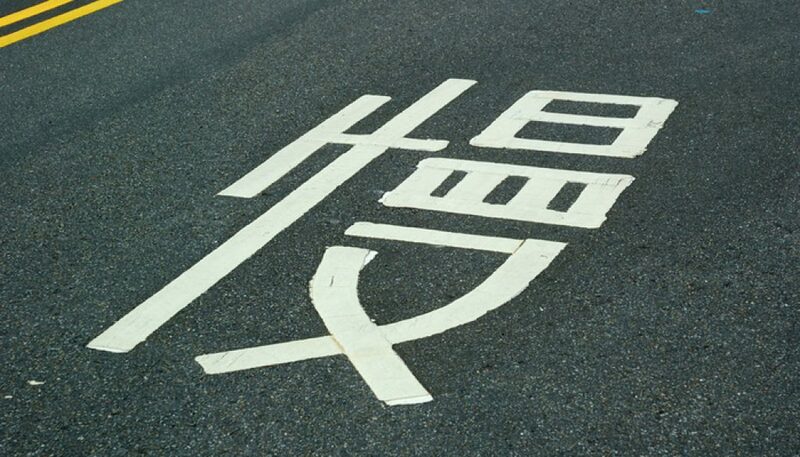 Don’t just focus on the English writing – look closely at the Chinese writing. Do it often enough and you’ll increase your knowledge and familiarity with Chinese characters. If you’re locked up in a dorm room or hotel somewhere, you can buy a map of China and figure out the names of places in Chinese characters. Imagine how many characters you’ll know if you can read all the city and province names. What if you’re not in China? Most likely there is a Chinatown or Chinese community near you. A Chinese restaurant perhaps? Most restaurants have menus that are written in both Chinese and English. While you’re waiting for your food to arrive try and match up the Chinese words you know with their English equivalents. Other signs you see around the restaurant or Chinese neighborhoods will also prove useful. The sign for washroom may be in English and Chinese. Then you can figure out the word for “man” and “woman”, which could help you avoid an embarrassing mistake if someday there is no sign in English. Chinese neighborhoods will have all sorts of signs that will come in handy. There may be a sign telling you where to park your car. And more importantly where not to park. In an airport you may see signs telling you “No Smoking” in Chinese. These are great opportunities to practice reading Chinese without opening a book or firing up a Chinese language App. This kind of practice can be fun and only takes a minimum of effort. The more often you try these little “study games” the quicker you’ll begin to see Chinese characters as words instead of symbols or hieroglyphics. Bonus exercise: next time you see someone with Chinese tattoo, see if you can figure out what it says. Chinese Language is Growing in Popularity Worldwide	Can you teach Chinese? This is Yangyang. How are you doing? I got your email and added a link to your site. I’m going to watch some videos on your site right now.